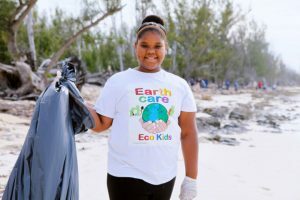 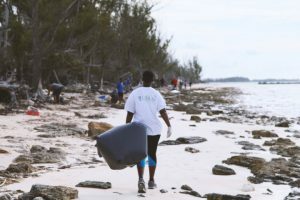 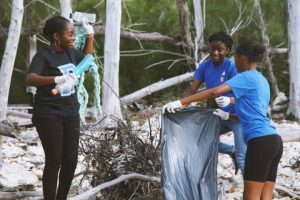 Keep Grand Bahama Clean Committee and members of various civic organizations and area residents converged on Barbary Beach to conduct a clean sweep of debris from litter, to construction. 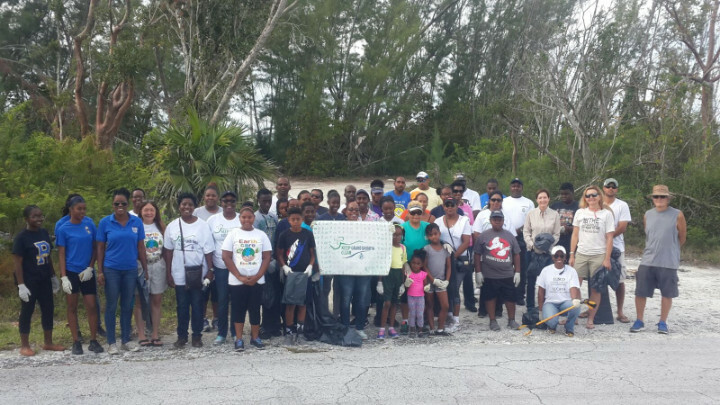 Volunteers filled a 20-yard bin dumpster of trash. The Grand Bahama Port Authority (GBPA) in collaboration with the Keep Grand Bahama Clean Committee (KGBCC) has been focusing on initiatives to highlight the importance of and encourage the concept of creating partnerships to address littering on the island of Grand Bahama. Representatives from the Cancer Society, Pride of Grand Bahama Lodge, Earth Care, Buckeye, Freeport Gospel Chapel School, St. Paul’s Methodist College, BMES, Pilot Club/Anchor Club of Lucaya, PharmaChem, Sigma Gamma Rho Sorority and Rhoer Club, Alpha Kappa Alpha Sorority, Phi Beta Sigma Fraternity, Kiku Zeki Temple #184, 3rd GB Sea Scouts, Kiwanis Club, Harmony Lodge, LUSCO, DEVCO and GBPA, all banded together to do their part in keeping Grand Bahama clean. 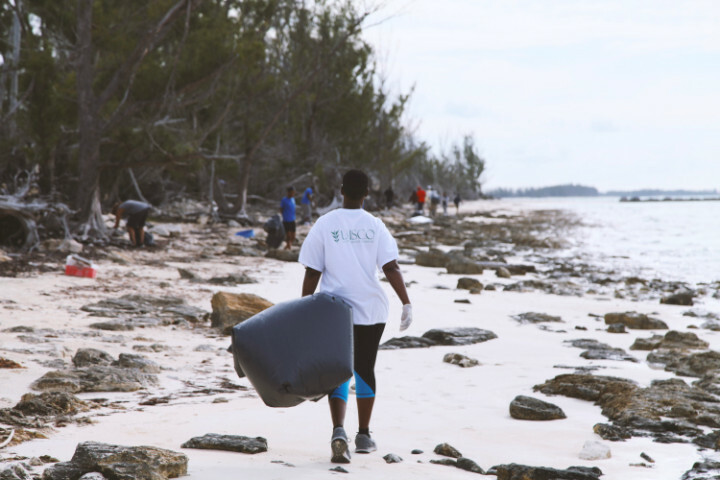 Seventy-five plus participants demonstrated the effectiveness of “Partnerships against litter” at the Barbary Beach clean-up and collected over twenty large bags of beach garbage.